The Biotech Student Connection is a great way to get involved in your field of study. 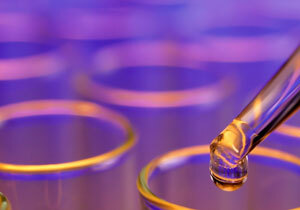 It is our mission to serve the greater Austin area by providing exceptional quality biotechnology education. The ACC Biotechnology Program is frequently involved in news worthy industry projects. The Biotechnology Program offers a variety of cutting-edge certificates and degrees tailored for people wanting to enter into the bioscience and biotechnology workplace. We offer Entry-Level Certificates, an Associate Degree and Post-Baccalaureate Certificate training. Our degrees focus on a “hands-on” training approach spanning topics from basic laboratory skills such as micropipetting and solution preparation to more advanced skills such as quantitative PCR, HPLC and cell culture. In addition, the program also provides specialized training in bioinformatics, regulatory affairs, and biomanufacturing. The AAS and ATC degrees have a capstone internship course where students apply all their new skills on the job. Most graduates are hired within their internship; others that are seeking employment find jobs in a few months after graduation. We offer both day and night classes in both Round Rock and Austin, in addition to online and summer course offering to accommodate both day-time and night-time (working) students. If you want to learn more about this exciting hands-on program, or to get registered, please contact us at 512-223-5915, email: biotech@austincc.edu or submit this brief General Inquiry form.